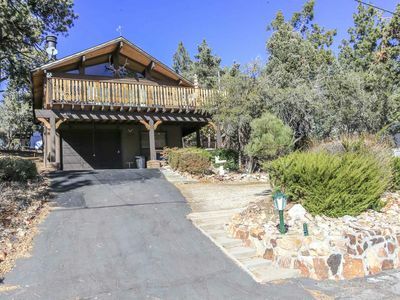 Delightful Upper Moonridge Cabin w/ Amazing Views! 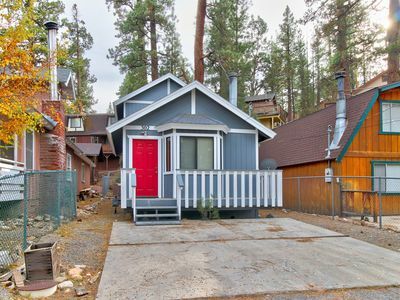 Entrancing views of Bear Mountain highlight this 2-bedroom, 2-bathroom vacation rental cabin in Big Bear City. 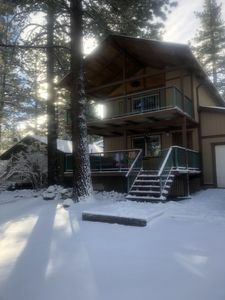 With arrangements for 6, unique mountain decor, and an ideal location with proximity to Bear Mountain and Big Bear Lake, you’ll find no better home to accommodate on your next California wilderness escape. 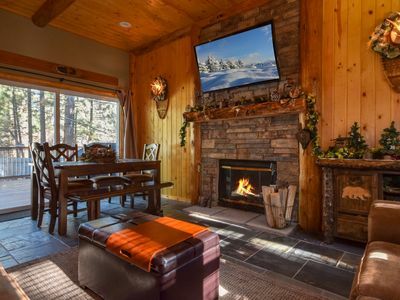 Whether you’ve visiting during winter or summer, the area is a true outdoorsman’s paradise, while the home boasts ideal amenities to entertain both inside and out! 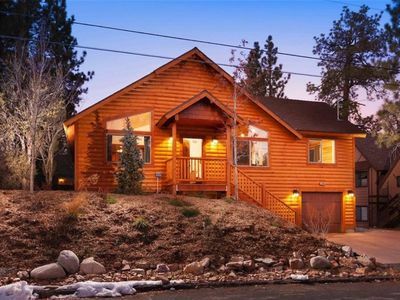 Bask in the snow-capped California peaks and keep an eye out for local wildlife as you approach this rustic mountain cabin. 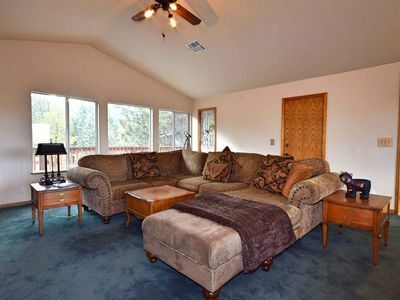 Upon arrival, head inside to unpack before exploring your new abode. 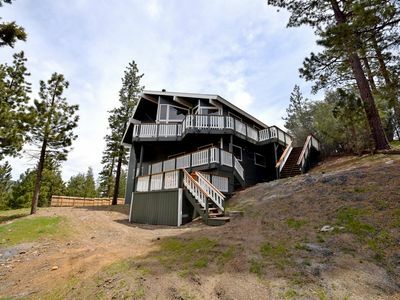 Long-view windows give way to amazing mountain vistas, but the best view is out on the deck. 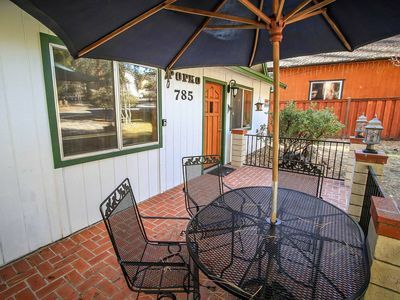 Step outside to enjoy afternoon cocktails or morning coffees amidst the fresh air. If you’d like to dine outside, let the designated chef whip up some zesty barbecue and gather around the patio table to enjoy your meal. 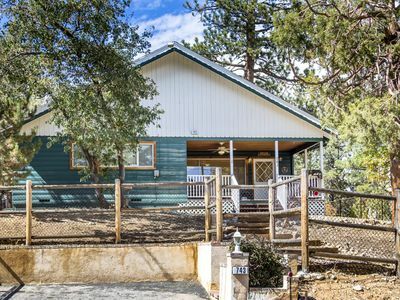 Inside, the home boasts 1,334 square feet of living space, highlighted by vaulted ceilings, rustic wood paneling, and mountain-themed decor, adding a unique charm to the property. Settle down in the living area to watch a favorite movie on the flat-screen Smart TV as the flames from the fireplace flicker and fade. 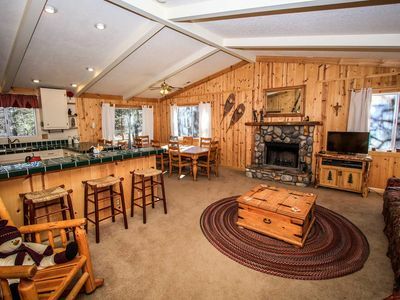 Whenever hunger strikes, the kitchen comes fully equipped, complete with granite counters and updated appliances. 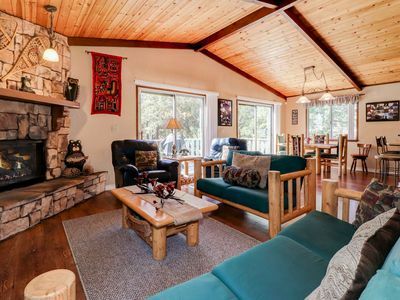 Choose between the 2 dining tables, both encompassed by mountain vistas. 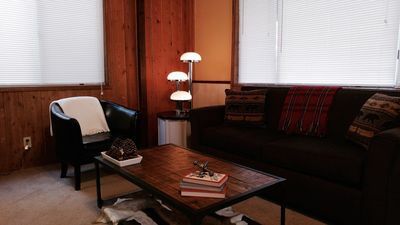 When you’re ready to call it a night, sleep is sure to come easy in either of the 2 cozy bedrooms, but those staying in bedroom 2 can watch the ceiling train drive in circles as they drift off to sleep. 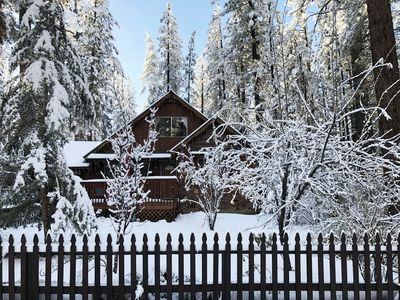 When the snow begins to fall, the area turns into a winter wonderland at both Bear Mountain Ski Resort and Snow Mountain Ski Area. 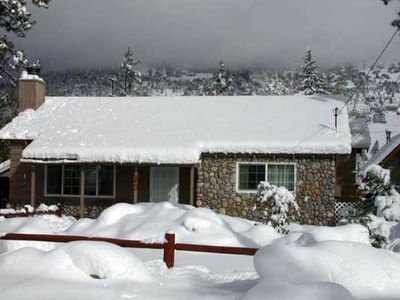 Be sure to pack your skis or snowboard to spend everyday cruising on the fresh powder. 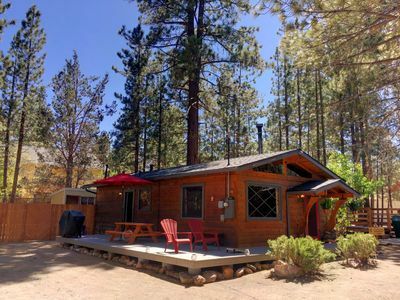 During the summertime, drive just 3 miles to Big Bear Lake, enjoy a summertime ride on the lift chairs to the top of Snow Summit for food, drinks, and views, or visit the Alpine Zoo to catch sight of grizzly bears, black bears, mountain lions, and bald eagles. Golfers, be sure to bring you clubs and join in for some tee time at Bear Mountain Golf Course. 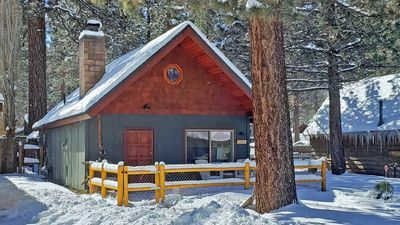 For shopping, restaurants, and endless entertainment, drive 5 minutes to Big Bear Lake Village, nestled in the San Bernardino Mountains. Browse the unique shops, sample the local cuisine, and stay entertained by the downtown activities. 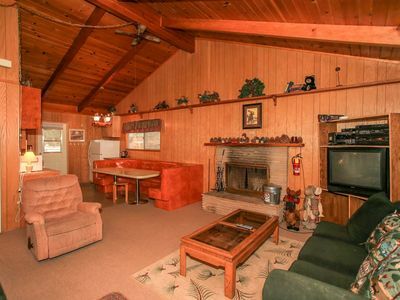 - Amenities include a fully equipped kitchen, 1 flat-screen Smart TV, 1 flat-screen cable TV, 1 flat-screen TV with DVD player, free WiFi, gas log fireplace, in-unit laundry machines, ceiling train (adult use only), furnished deck, propane gas grill, mountain views, 2-3 driveway parking spaces, and more! Right At Home: Cable TV! Mountain Views! Covered Deck! Yard! Pet Friendly! Cute & Cozy! 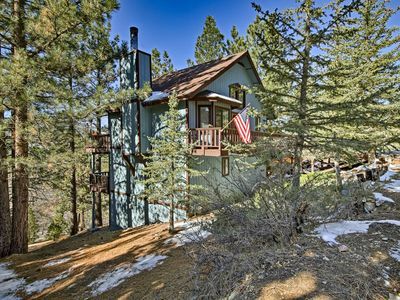 Mountain Crest Getaway: Mountain & Slope Views! Pool Table! Gas Fireplace! Cable! WiFi! 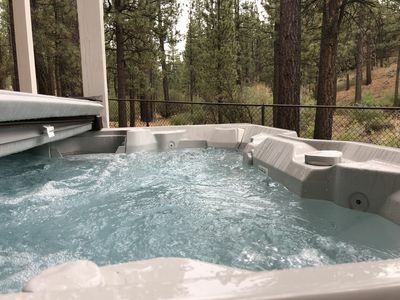 Highwood Acres: Hot Tub! Pool Table! Propane Barbecue! 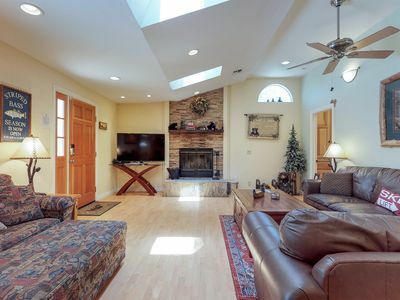 Multiple Fireplaces! Gourmet Kitchen! Bear Moon Rising: Close to Bear Mountain! Peek-A-Boo Slope Views! Fenced Yard! Hot Tub! 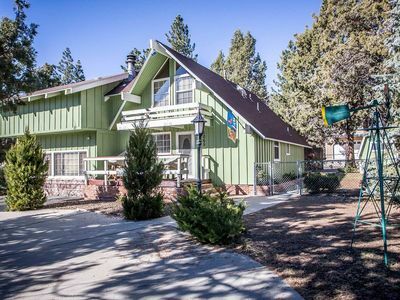 Inn the Pines: Great Central Location in Fox Farm! Fully Fenced Yard! Jacuzzi Tub!